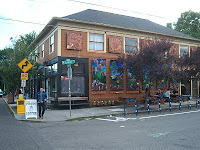 Of my list of coffeehouses to visit, Albina Press of Portland has sat on there for a long time. I remember reading blog posts (like this) extolling the place for great use of Stumptown coffee and serving as a strong icon of Portland coffee. Finally I made my visit a few months passed and I hit the cafe at a nice lull where there was no booming crowds. 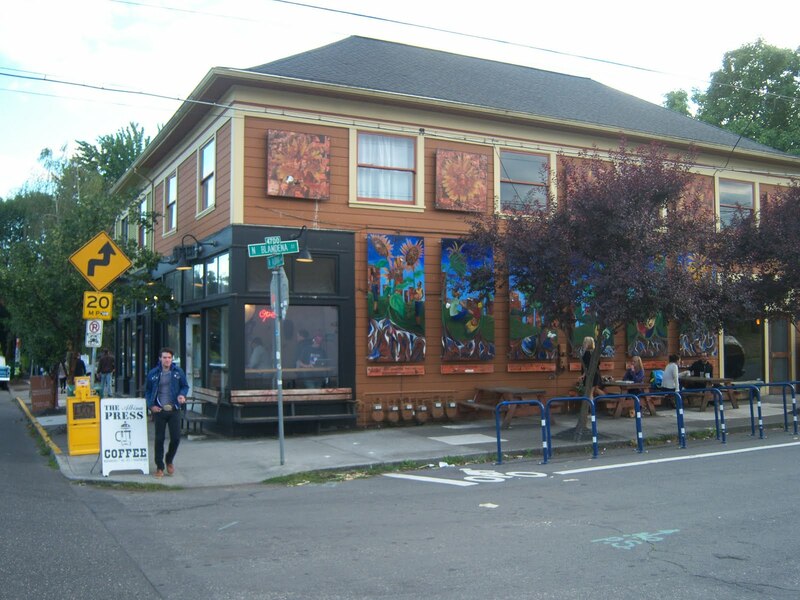 The cafe sits on a corner in North Portland surrounded by an open, residential atmosphere where one wouldn't mind having a home. Within, the Albina is quite large, with several sections throughout, all with nice wood floors and lots of light. As for my coffee, I purchased a french press of Stumptown's Guatemala Finca El Injerto and an espresso of Hairbender. The Guatemalan produced a coffee brimming with honey, wheat grass, apple juice, black tea and a smidgen of rose (a deliciously smooth coffee). The espresso, pulled short with nice crema, held notes of lemon, strong tea, tobacco, caramel, raspberry, cocoa and sassafras (a well-extracted and tasty espresso). The tea was Yohalem-Ilsley Medicinal Teas and Stumptown. Yet another cafe I would love to be in the neighborhood of. If in Portland, swing by Albina Press. Thanks for the info! I love quality coffee. The next time I'm in Portland I'll have to check this out. 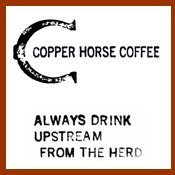 Coffee on the go has always been a concern of mine too, BUT i started my own coffee business I love the drink so much! It frustrated me that there was never a way to get good coffee on the go! always this instant coffee that tasted horrible. 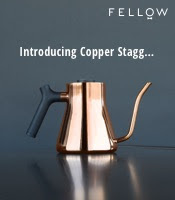 So my own business attempts to make top quality coffee available in as many places as possible! I put sell them all over the world. Thanks.